Fails to submit data in Arabic when requested. Does not submit VAT returns on time. 1. Intended to address tax evasion. 2. Tax evasion is when a person uses illegal means to reduce the tax dues. 3. 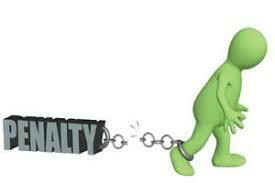 Penalty < 5 times the amount of tax for which penalty was levied & prison sentence. 4. This doesn’t prevent other penalties being raised under other laws. Deliberately conceals or destroys documents that were supposed to be submitted to the FTA. Passenger transport by rented buses comes under Tax Exempted category or not ? Our Trade license says “Passenger transport by rented buses” we got a TRN also. We give our vehicles for rent with and without drivers for the customer to transport their staff/workers from labour camps to working sites. Because “local passnger transport” is listed in Tax Exempted categories, we have the above confusion. We will have to look into your case in a little more detail. However, in our opinion, it should be a Zero Rated sale. Do not hesitate to get in touch with us for any other queries.